At Pilgrim’s Produce Department, our selection of Certified Organic produce is extensive, and we source local produce as much as possible. Through our local natural grocers and buyers agreements, as well as small batch produce buying, we support a wide variety of local and regional growers and producers in the Coeur d’Alene area. Regardless of the season, Pilgrim’s Produce is committed to finding the freshest, healthiest and organic produce available for you and your family. 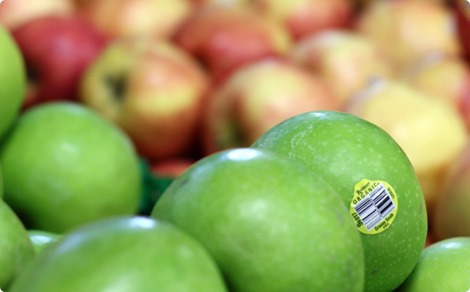 More than 80% of our produce is Certified Organic, and we clearly label all our organic produce and non-organic produce so that you can make informed choices regarding your healthy shopping. Our prices are highly competitive, and we even offer a range of gourmet and unique ingredients, including fresh herbs, bulk dates and a wide selection of local Kootenai County mushrooms, when in season. None of our produce is irradiated, so you know you are getting the freshest produce available. Come visit our indoor organic “farmer’s market” and support your local community.